Melinda Rucks loved rocks. As a kid, she was constantly collecting them, filling her pockets and backpack – and then forgetting about them until laundry day. But for her, it was a microscope, a gift from a family friend for her ninth birthday. Katherine Shirley had an affinity for the moon; her mom served in the military and the moon was their shared touchstone. But for her, it was an inflatable planetarium – the kind you crawl inside – with all the stars circling around. The microscope and planetarium are vivid memories, the defining moments Rucks and Shirley, both doctoral candidates in Stony Brook’s Department of Geosciences, point to when reflecting on what first caught their interest in science. 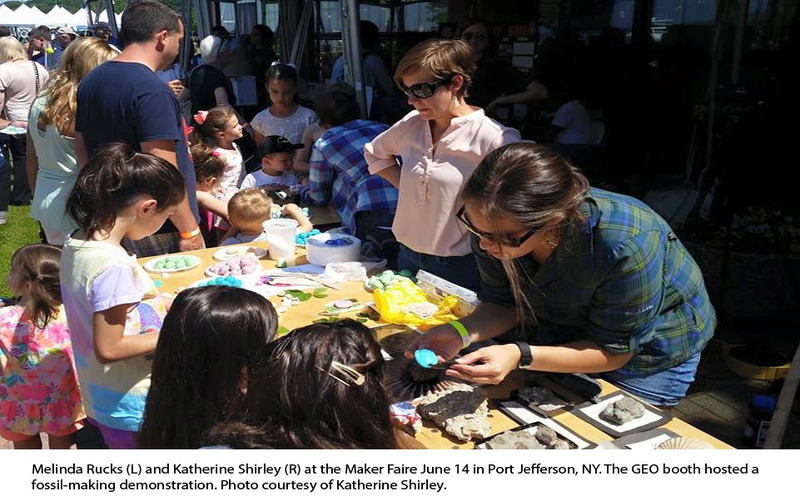 When they decided to get involved in one of Stony Brook’s outreach programs bringing science education to local students, they wanted to participate in a program providing the kinds of experiences that inspired them. They wanted to work with grade-schoolers. The programs they found, however, were largely geared toward high school and undergraduate students – students who have already decided if they are interested in science. So Rucks and Shirley developed a new initiative, Graduates for Education and Outreach (GEO), to engage those younger learners. They gathered about a dozen volunteers and working with Gil Hanson, a faculty member in their department who has organized similar outreach efforts, identified areas of Long Island where schools might benefit from GEO. Joel Hurowitz, another Geosciences faculty member, introduced them to his wife, Tanya Hurowitz, then the assistant principal at Nathaniel Woodhull Elementary School. She, in turn, put them in touch with the teachers – who were pleased to invite subject matter experts to work with their students. 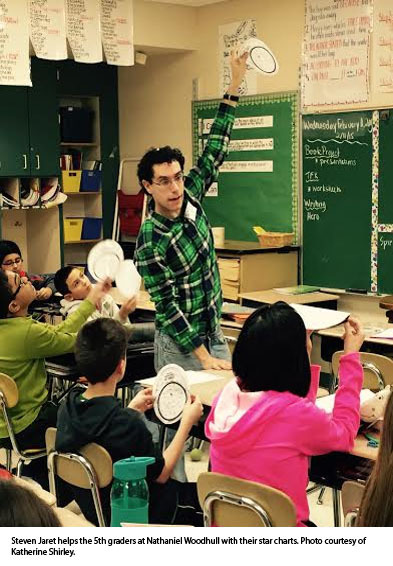 Logistics set, the GEO volunteers piloted their first program last spring with the fifth graders at Nathaniel Woodhull. The Stony Brook team was at the school twice a month. A volunteer proposed a lab, taught it to the group, and gathered all necessary materials – in one case, low-cost pH test paper homemade with cabbage juice for an acid-base lab. Rucks and Shirley shared the proposed lesson with the Nathaniel Woodhull teachers a week in advance so they could prepare the students with a bit of background information. Then, on “Science Day,” as the students called it, GEO volunteers taught the lab to the students. All the lessons – from the constellation lab with the star charts to the crystallization lab with the borax crystal ornaments – have been well-received, but perhaps none as enthusiastically as the volcano demonstration. GEO returned to Nathaniel Woodhull this fall and, with additional volunteers and funding, Rucks and Shirley hope to expand the program to more schools. They are in the third year of their PhD programs, and before they graduate, they hope to see GEO become an institution. “The goal is to make this something that the graduate community takes hold of to cultivate partnership with the community,” Rucks said. They are working with the Graduate Student Association to register GEO as an official club. Interested in participating in GEO? Contact Melinda Rucks and Katherine Shirley for more information. 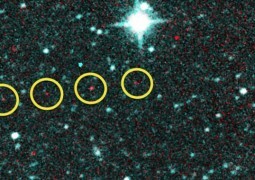 NEOWISE data will help scientists determine CO and CO2 abundance, as well learn about the dust particle size distribution. The distance to the Moon is measured to a precision of a few centimeters by bouncing laser beams off reflectors placed there by the Apollo astronauts.